I initially wrote the story while on summer holidays out of general interest in writing. I tried to make the story an environmental piece about a flower in a field (the field from my book The Butterfly Dragon I: Heroes Of Our Own). Beside the flower someone discards a pop can, which still has a little bit of pop in it. A bee smells the flower but when it arrives, it completely ignores the flower and instead goes over to the pop can attracted by the sweet smell of the warm pop still in the can. All the bees that otherwise would have pollinated the flower end up ignoring the flower instead favouring the pop can. The entire story is narrated by a mystical dragon who observes the events as they unfold. This would be the idea for the dragon that would eventually become Weltherwithsp. I had been playing a video game and had recalled the story I'd written so many years prior. I had first envisioned the dragon itself and thought about developing a book with a dragon lady superhero. 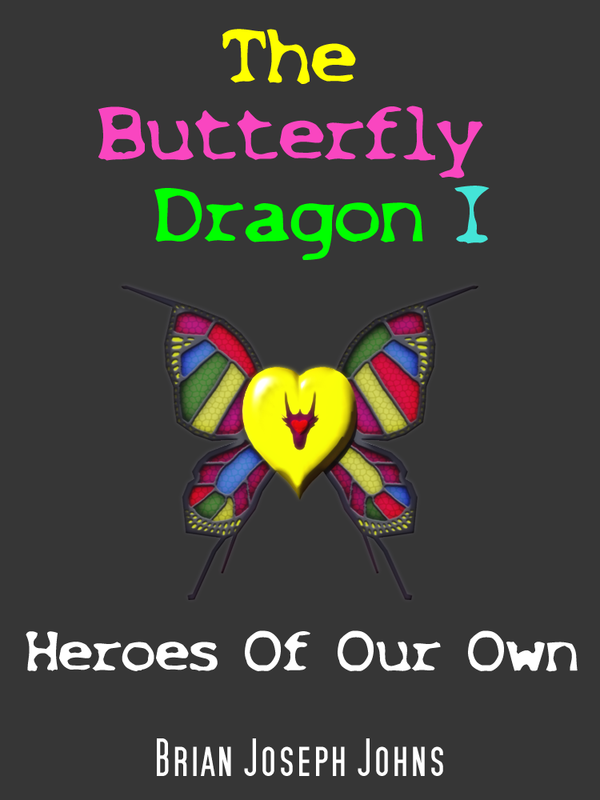 Dragons are typically dangerous and terrifying creatures so with the superhero character being a female, I wanted her to have another aspect that was the diametrical opposite of a dragon, and I came up with a butterfly and called her The Butterfly Dragon. By the time I'd conceptualized Night Style, another superhero with whom the Butterfly Dragon would work, the book began to write itself. The first draft did not include their any of their childhood. When I explored that aspect of Alicia and Heylyn's long standing friendship I knew that the story had developed a heart. "Butterfly, Butterfly in the field. How much sewn and what's your yield? With thread your game your fate is sealed by what you wear you've no repeal. Know your heart, mind held within, for even naked you begin. What you wear can speak your soul, yet root be found within your whole. For you are you despite your wear. You come first then colors bare. Colors speak your heart's content. Your honesty, your soul's repent. They accent you but don't define, the inner you your own design." 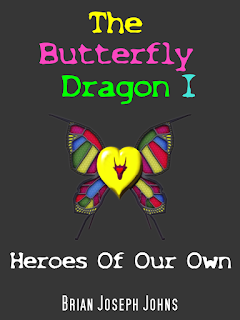 Author's Note: Although I do have a Butterfly Dragon character on the MMO game DC Universe Online, the characters and story from the Butterfly Dragon are completely original and of my creation. 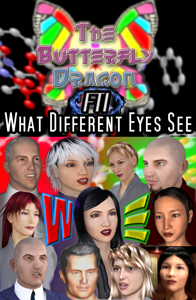 My character The Butterfly Dragon or any of the characters from my books have nothing to do with DC Comics whatsoever. In fact, the Butterfly Dragon has no affiliation with any other publisher other than myself, Brian Joseph Johns and my own company Shhhh! Digital Media. Ironically, where I live, there seems to be a concerted effort to take the character and my books from me and credit them to other persons with whom I have never worked on any projects. The truth is that these books and characters are all of my own creation. The book that started it all. The first half of this book was first published online in June of 2012 after I'd worked on it for about two months on my personal blog for viewer feedback (of which I got none) but I did get a lot of reads. Two little girls, one from the East and the other from the West. One with a talent for fashion design and the other a scientific genius. One from the distant land of China and the other severely lacking in confidence and self esteem. The gifts that these two can share with one another will change their lives and may in turn save the world. Once upon a time there had existed a bridge between which the members of two ancient tribes would find middle and common ground for their mutual betterment. Norler and Alicia set out on a mission to rebuild this bridge utilizing the allegory Medical Science and Eastern Medicine to break down the barriers between the West and the East. They call upon the help of some of their peers, including Professor Bryce Maxwell and Heylyn Yates to rebuild the Silk Road through a special fund proposal that will make Cancer treatment available to everyone on a per need basis. They've got to convince the East to join in on this effort. The spiritual sequel and successor to A Full Glass, A Piano And The Disappearance Of Time. This story picks up shortly after the events of What Different Eyes See. Please note that this work is in its early stages and may change drastically as it is crafted. Understanding the greatest mysteries of the universe is not about the answer one gets from a particular question but in asking the right question? For Alicia this mystery was not as much about the question itself but about whom she's asked. September 1, 2014 by Brian Joseph Johns. 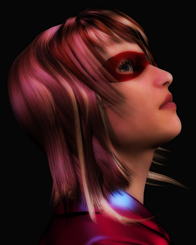 Valerie Aspen in the wake of the events of The Butterfly Dragon I: Heroes Of Our Own must overcome the stigmas that she'd acquired through her prior association with Torman. The business world sees her as one of Torman's former accessories. Can Valerie turn the tables or will she forever be known as Torman's ex-girl? Alicia has come a long way since the showdown on Treadwater Island. She's comfortable both as the Lead Researcher at Tynan And Associates and as her alter ego, Night Style. A hidden threat to one of the city's public officials emerges from similar chaos to Alicia beginnings. What makes the two different? Will she succeed in protecting a city that fails to understand her?